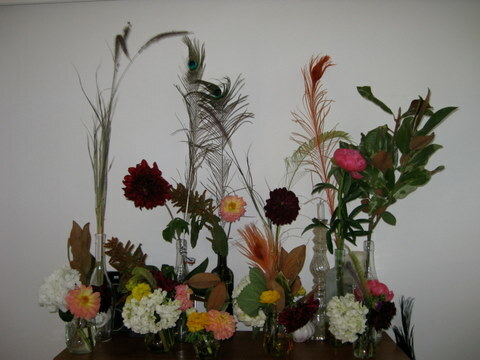 My friend Alissa and I created these gypsy-inspired arrangements last year for Mary’s rehearsal dinner. 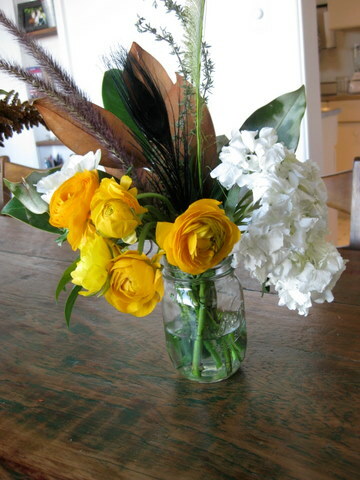 You could replicate the look of these with any flowers and any found object that can hold water to be the vase. I saved jam jars, wine bottles and water vessels for a few months. Scrubbed off the labels and voila, free vases! Yellow ranunculi, puffy white hydrangeas, shiny magnolia leaves set off by nontraditional elements like fresh thyme and feathers. 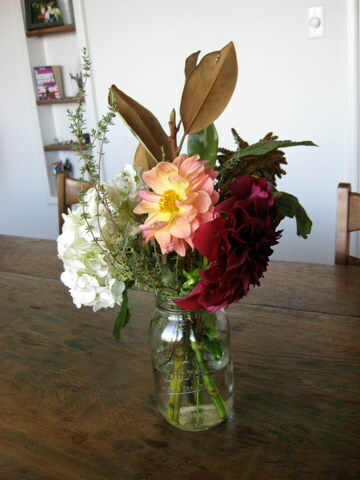 The dahlias in this arrangement really pop. 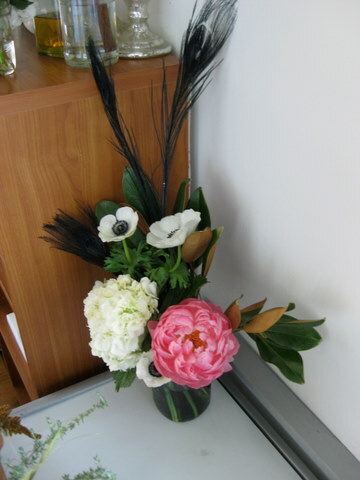 I love the juxtaposition of the black feathers, pink peony and the black and white anemones. 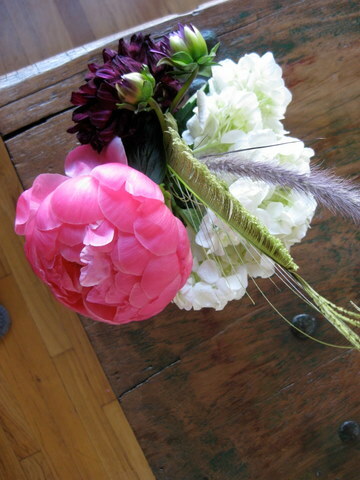 A hot pink peony and a deep purple dahlia pulled together by the chartreuse feather. Shh don’t tell anyone but we made all these arrangements for $100 total! All floral supplies came from the Flower Mart in Downtown LA and the “vases” were assorted jars and wine bottles I saved for this very event.